Nostalgic AT Reader Leanne Nelson returns to the holiday site of many a fond family vacation, only to find that delightfully little has changed over the years. Why does our family, and hundreds like ours, hook up the caravan and make the journey to Port Fairy each summer? Quite simply: the kids love it. As the saying goes, “If mamma ain’t happy, ain’t nobody happy”. Well, if the kids aren’t happy, chances are they’re driving mamma bonkers. 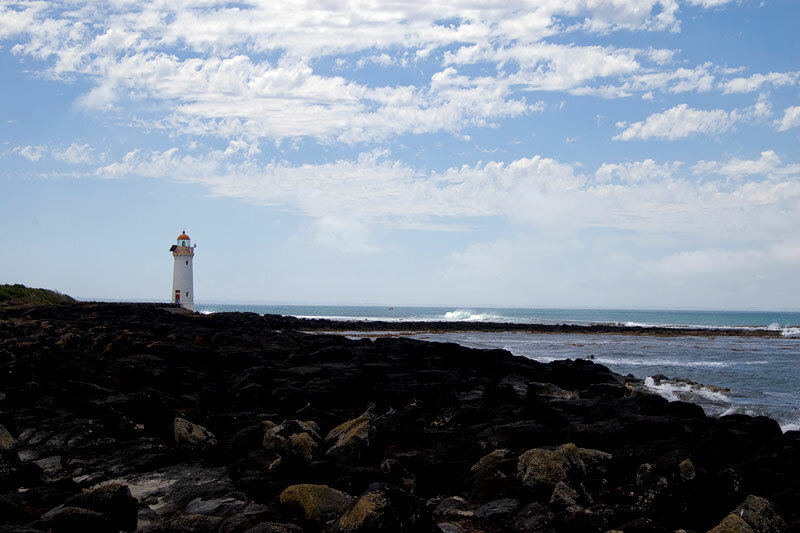 You’ve probably heard Port Fairy, on Victoria’s southwest coast, being described as quaint, romantic and a foodies’ paradise. It’s all those things. Over summer, it’s also a hive of family fun. I’m not talking about whiz-bang, hi-tech or even expensive entertainment. Most of it’s free or very low cost. In fact, most of it is exactly the same stuff I did when my parents holidayed in Port Fairy. Back then the attraction was spending all day at the beach with new friends and old. We built magnificent castles, got dumped by the breakers and spent far too long with chattering teeth in the cold water. Other days, we clambered over rocks around Griffith Island for hours or dawdled along one of the beaches that fringe the town, in search of beautiful shells and cool sea creatures.Some 30 years later, the town has changed a little. The dilapidated buildings overlooking the Moyne River have had a facelift, with most of them now offering accommodation ranging from motel rooms through to short-term rentals to B&Bs. There are the much written about fine restaurants, boutique shops and cafes dotted through the streets alongside old stayers like Cobb’s Bakery, the caravan parks and the theatre. The park soon becomes a kaleidoscope of kites ducking, weaving and plummeting to the ground. The things that made Port Fairy special to me as a child are still there: days at the beach, long walks and Cobb’s apple scrolls. What’s more, as a parent, I’ve found even more to get excited about. The Moyneyana Festival kicks off the fun on Christmas Eve with a host of activities on offer until the end of January. You can relive your childhood in the dodge ’ems at the nightly carnival, relax with the family under the stars at special movie showings in the Village Green or encourage your little naturalist at Coastcare sessions. Southcombe Park is home to some of our favourite activities. The wetland reserve is criss-crossed with bike paths leading to South Beach, Pea Soup (a popular beach for young families) and the wharf. Late each morning a camel train ambles into the park, with each camel dividing its time between giving rides and staring back at curious onlookers. 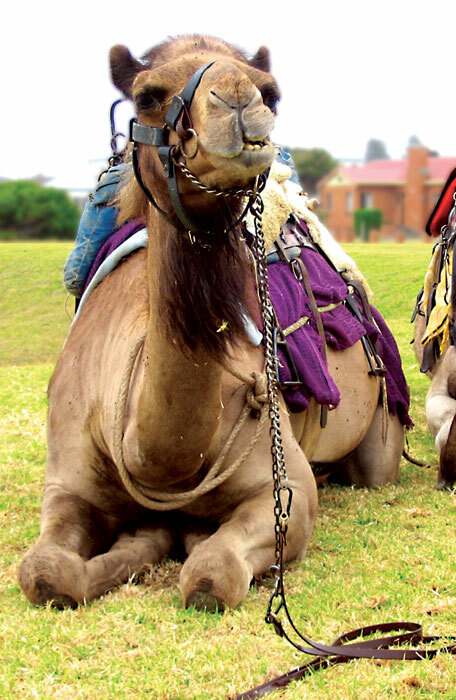 Watching the faces of unwary riders as the camels lurch from sitting is almost as fun as the ride itself. For early risers, there’s a longer ride along East Beach in the mornings. The Kite Man also sets up in the park each afternoon. It’s a rare day his kites don’t flutter; if there’s one thing Port Fairy has no shortage of, it’s wind. 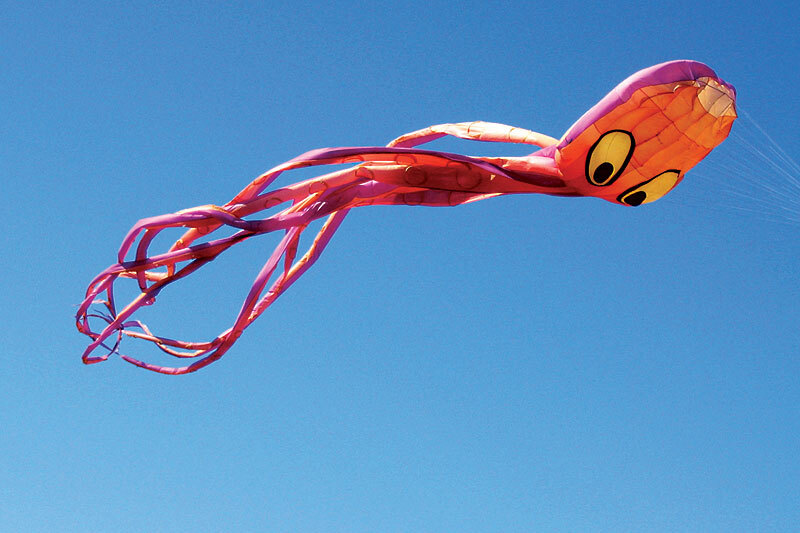 As well as an enormous kite signalling his arrival, he brings along plenty of smaller versions to share among the kids, young and old. The park soon becomes a kaleidoscope of kites ducking, weaving and plummeting to the ground. Back at the Kite House there are bikes of all sizes for hire, including toddler trailers. They’re an ideal way to explore the historic streets and to wear out energetic little legs. For something a bit rowdier, every Sunday at noon a cannon at Battery Hill is fired. 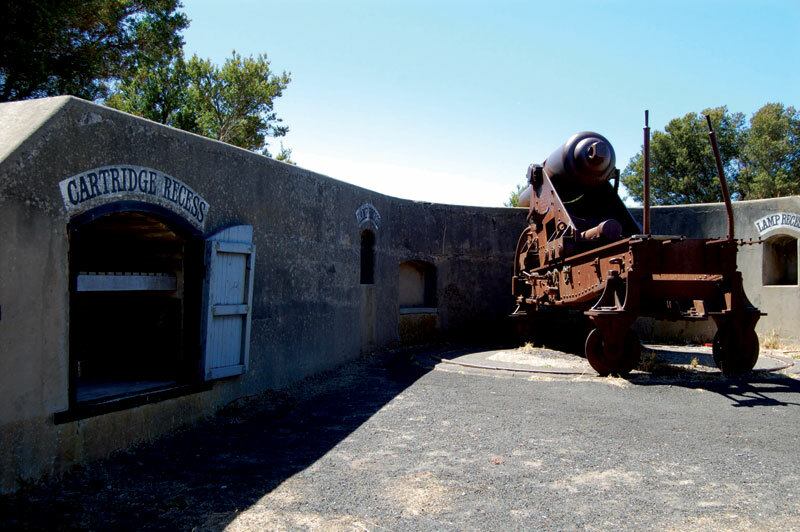 Built to defend attack from the Russians in the late 1800s, it turns out the locals were being paranoid. The only time the cannons were fired in anger was by a member of the corps after he’d been kicked out of the nearby Killarney Pub. Fuming, he pointed the cannon squarely across the bay at the pub and let her rip. Fortunately for the publican, the shot fell well short. Before the cranky, insecure cannon brigade, there was fishing – and Port Fairy is still home to a large fishing fleet. There are a number of charters that leave the wharf regularly for both anglers and sightseers. Those with shaky sea legs are still able to try their fishing expertise along the wharf or the breakwater with a good chance of hooking something. If catching your own proves too hard, watching the boats unload at the wharf should provide plenty of fishy excitement. The list of things to see and do goes on: surfing lessons, mini-golf, children’s performers and a rodeo. Or, you could leave the kids with a willing adult while you enjoy the fabulous food, gorgeous shops and day spas. Decisions, decisions.